We continue our tradition of celebrating Christmas together (as an extended family!). 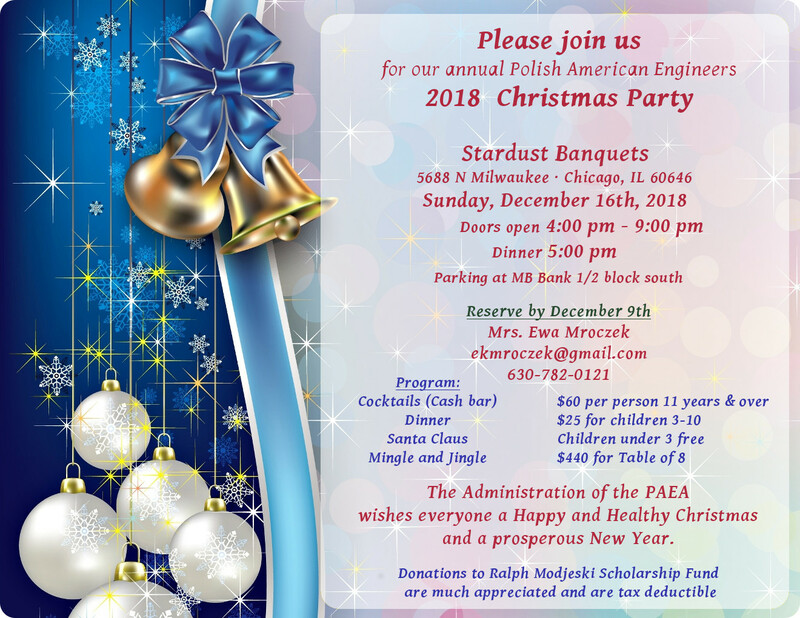 This year it will be on Sunday, December 16th, at Stardust Banquets (5688 N Milwaukee Ave, Chicago, IL 60646). 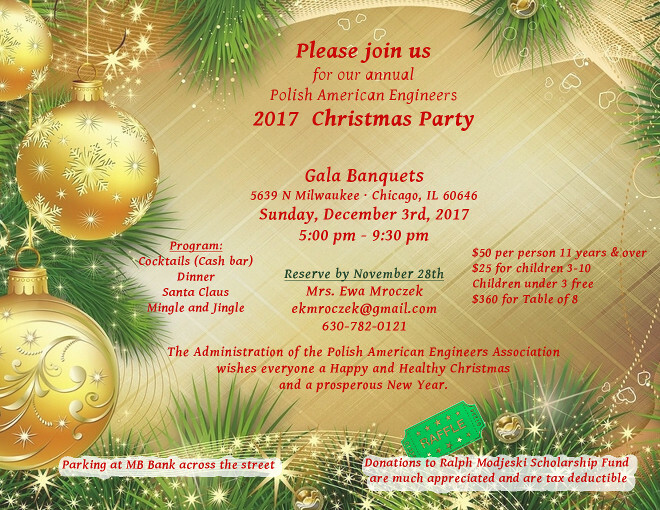 Please invite your friends- all are welcome! Book by Dr. Plachta describes 40 existing bridges designed by Ralph Modjeski, that to this day remain as classical examples of bridge engineering. They are spread all over the North American continent. Dr. Plachta is a long-term member of the PAEA.